In 2006, there was a special event being held in Austin, TX. 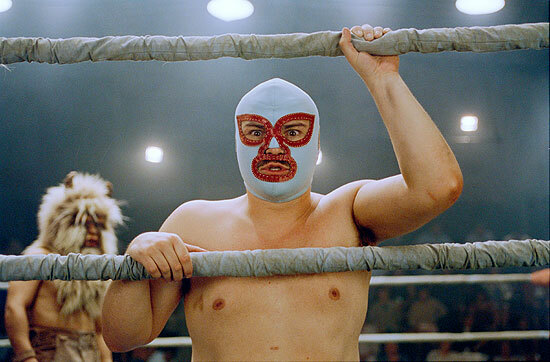 It was for Jared Hess's latest film entitled Nacho Libre, and this outdoor event, sponsored by Alamo Drafthouse Theaters, included Mexican-themed food and live wrestlers in a ring set up in front of the inflatable movie screen. Guests were told to bring blankets to sit on while they watched the competitions and eventual screening of the film. As the night grew dark and the wrestling was coming to an end, the sweat caused by the Texas heat had soaked into my clothes. It was perfect, considering that the film took place in Mexico. I, and more than likely the other audience members, felt truly immersed in the strange world that Jared Hess and his fellow writers had created. The film follows Ignacio (a.k.a. Nacho), a monk who moonlights as a Luchador (Mexican wrestler) as a means to help fund the church he represents. The film was loosely based on the story of Rev. Sergio Gutiérrez Benítez, known in the world of wrestling as "Fray Tormenta" ("Friar Storm"). Jack Black stars as Ignacio, in a roll that seems rather odd for a white actor, and yet couldn't have been more tailor made for the chubby thespian. The film wasn't a major hit like Jared Hess's previous film, Napoleon Dynamite, however, it has just as much heart and dry humor. Hess seems to enjoy slow-paced storytelling with unusually simple plots. In fact, if I didn't know better, I would think that he directs films as if they were Looney Tunes cartoons. His films, as surprising as this may sound, have no swear words and only slapstick violence. And it's because of his innocent, youth-orientated style that his films stand out, and even thrive. 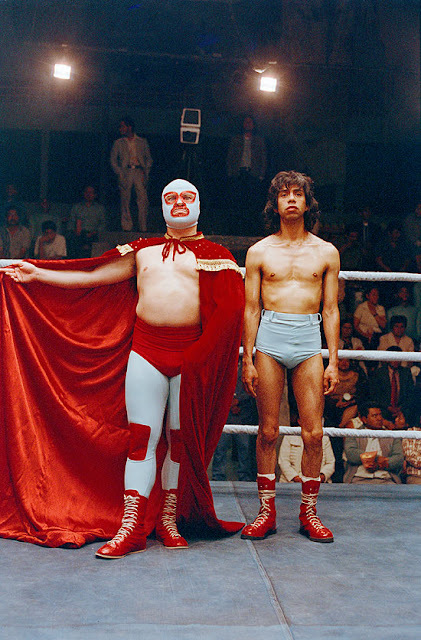 Written by Jared Hess, Jerusha Hess, and Mike White, Nacho Libre has a cast of unusual characters. The same quirkiness that the writing team brought to Napoleon Dynamite is more than evident. Their dialogue is just as quotable and memorable. But what most people missed during the film's initial screenings is how much heart was laid out in the story. Each character, good or bad, wrong or right, stayed true to their beliefs, and at the same time, recognized that they all wanted a little taste of glory. It goes to show how well written a story can be when you feel sorry for everyone on screen, and that as flawed as they may be, a broken character is always more interesting than a perfect one. Critics may have been harsh about Jack Black's (kinda bad) Spanish accent, but you have to give credit to him and his dialect coach for hitting the right emphasis and cadence. Black also showcased a different kind of character that stretched him away from his standard "fat loser" roles. He's not so much a loser here, but instead an outcast with dreams that no one else understands. And though his unconventional dream may have strayed him from his religious upbringing, it's to the credit of his friends that help lead him to the right path. Meet Nacho's Strength: Steven (aka Esqueleto). Played perfectly by Héctor Jiménez, Steven came from the streets and fights for what he wants. He wears raggedy clothes and uses underdeveloped fighting skills. Nacho takes him under his wing in the hopes to have a winning chance in the ring as his tag team partner. But Nacho has other plans for this antisocial, orphan-hating man who only believes in science. Meet Nacho's Heart: The Orphans. Chancho, played by Darius A. Rose, along with the other orphans, have long since been Ignacio's only concern. He cares for them all like his own children and will do whatever he can to keep them safe and fed. But as the church's cook, Ignacio complains that he has no money for proper ingredients. Of learning Ignacio's secret, it's Chancho that steps up and leads the parade in honor of Nacho. Meet Nacho's Nemesis: Ramses. 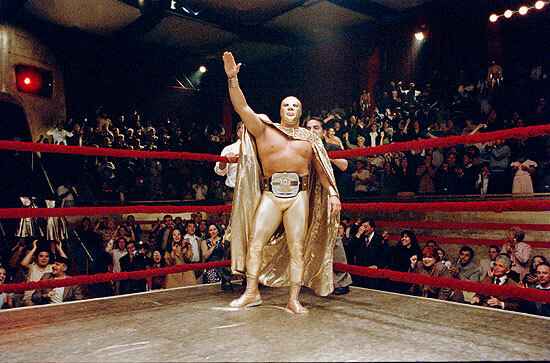 At first, Ignacio is star struck by champion Luchador Ramses, played by Cesar Gonzalez. But when Ramses shows his lack for respect for anyone not worthy of his presence, namely the orphans, Ignacio realizes that his hero has become the metaphoric mountain that he must climb. Meet Nacho's Conscience: Sister Encarnación. Played by the extraordinarily beautiful and delicate Ana de la Reguera, Sister Encarnación's arrival into Ignacio's small village has him confused. Though he has vowed his celibacy to God, he can't help but dream of a future with Sister Encarnación. And despite the realism of the situation, her presence has filled his heart with more vigor. She also keeps his ego in check. She reminds him, quite unapologetically, that fighting is a sin. Ana de la Reguera as "Sister Encarnación"
Combined, these main characters, along with many others (including a cameo by Peter Stormare as the mysterious "Emperor"), all create hurdles for the naive hero. More importantly, they all help build your appreciation of Nacho, a man obsessed with a seemingly unreachable goal. And despite his lack of adequate skills, he never stops climbing his way to the top. 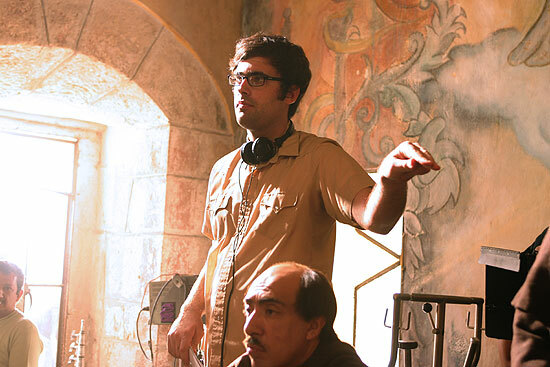 But Nacho Libre's writing and unusual characters are only a part of the film's charm. Its use of fun, oddball music make for a fun listen during and after the film. The soundtrack, available on iTunes, includes such tracks as "Move, Move, Move" by Alan Hawkshaw & Alan Parker, "Hombre Religioso (Religious Man)" by Mr. Loco, "10,000 Pesos" by Beck, who provides additional instrumental tracks, "Saint Behind the Glass" by Los Lobos, and "Encarnación," one of the improvised songs by Jack Black who also sings "Forbidden Nector" during the end credits. One of my personal favorites, "Half Forgotten Daydreams" by John Cameron, works so well as the uncomfortable love theme between Esqueleto and Candidia (played wonderfully by Carla Jimenez). The film's theatrical trailer deserves mention as well. Often is the case that movie trailers either give away too much detail, or just represent the film incorrectly. But every so often trailers get it right: the mood, the style, and just enough information to entice you. Nacho Libre's trailer is one of those. It shared the film's basic plot but never delved too far into the characters' struggles. It highlighted some great moments but kept some the film's best gags secret. Jarod Hess's follow-up to Napoleon Dynamite had big shoes to fill, indeed. 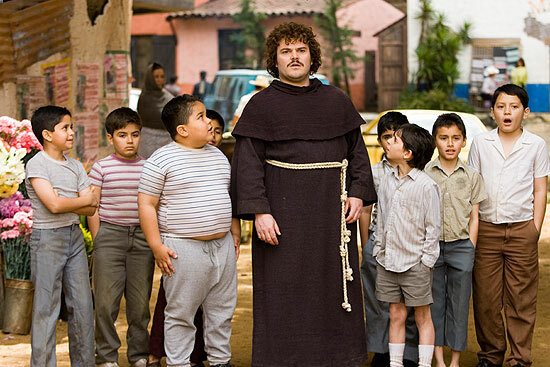 And though Nacho Libre's recipe of a geeky main character, quotable dialogue, and extremely dry humor was somewhat familiar to its predecessor, Hess and his writing partners put enough heart in all the right places to make it unique. It has a lot of laughs, but most of all it's a great underdog story. And as humorous as the film may be, there are several touching scenes throughout, including a moment towards the end that brings a tear to my eye every time. It's a simple yet heart-warming moment, and truly fulfills Nacho's ultimate goal: respect. Not just for himself, but for his ever-important orphans. TRIVIA: During filming Jack Black recorded a series of confessionals and made available on iTunes. They became one of the most popular podcasts in the world.